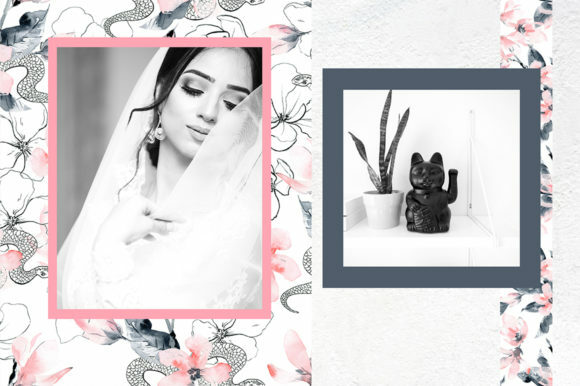 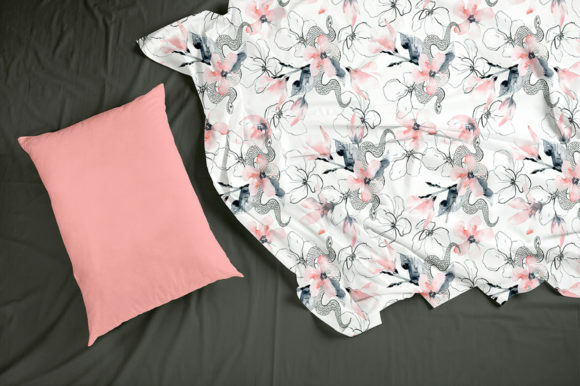 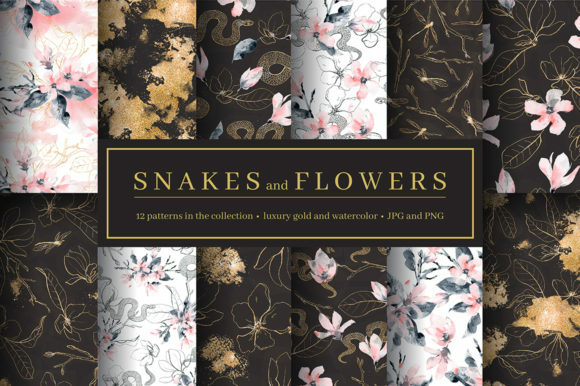 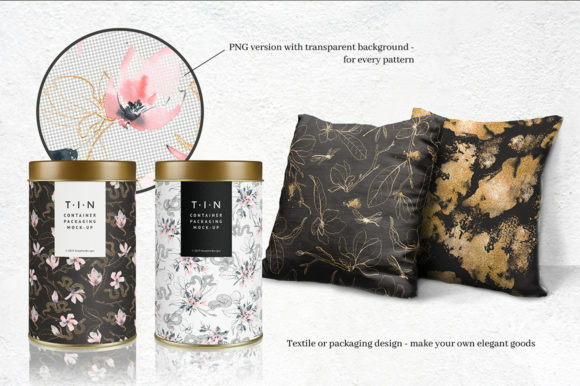 Elegant, luxury and delicate collection of seamless pattern with snakes, flowers and branches. 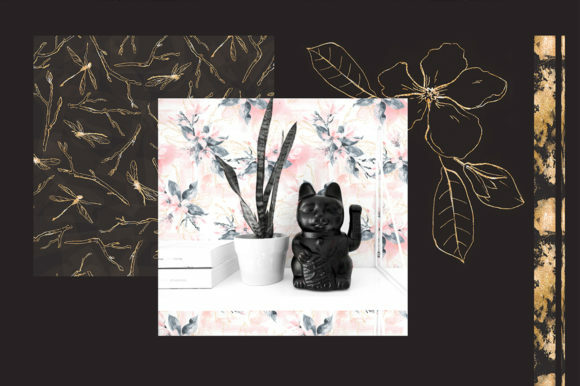 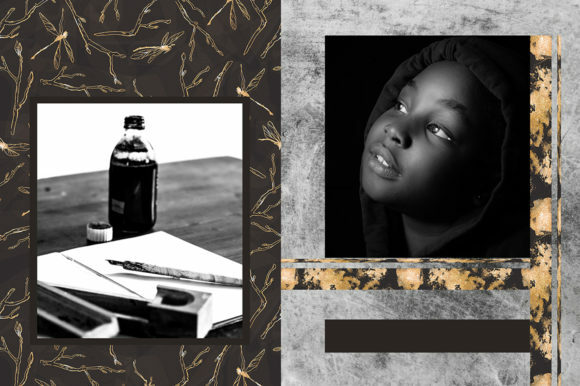 A limited palette of noble colors: black, pink and gold – will make your design chic and stylish. 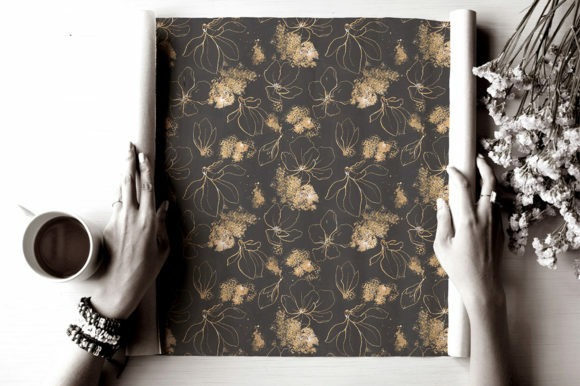 Patterns are perfect for fabric and wallpaper design, wrapping and scrapbooking paper. 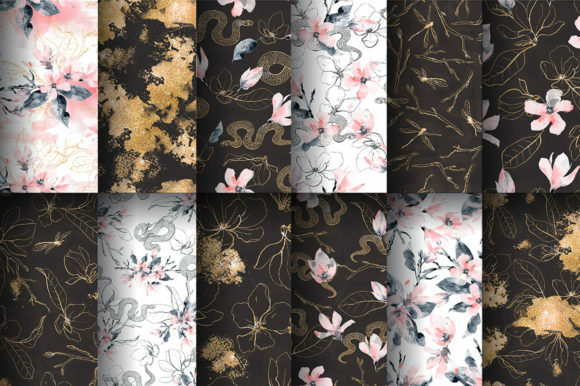 Patterns for your royally luxurious design!